We are slowly putting together a little solar observatory on S block at QUT gardens point. 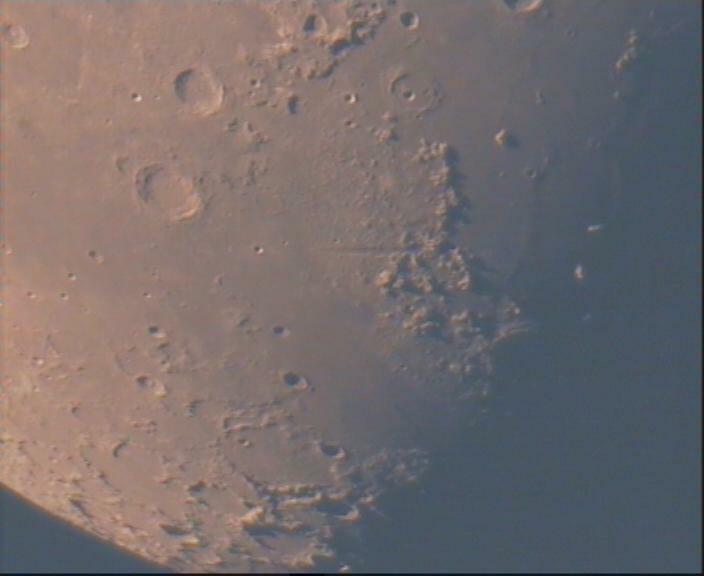 Last week we took our first test shots of the moon through the scope. The scope is a 8 inch celesteron. The camera is a CCD video camera using primary focus - that is the mirror focuses directly on the CCD - there is no eye piece or camera lens. This gives the purest image but no magnification control - you get what you get. These were taken in the late afternoon, the sun was up and the sky still blue. Night time images should be better. We weren't sure if the building is stable and now know it isn't. In the video clip below I'm reasonable sure the shake is from the building, we have a bit of wind shake as well but it is higher frequency. The shake comes and goes and could be caused by the elevators. The building is twelve stories high. The shake doesn't affect us all that much because we aim to take solar still images and can make the exposures short. Obviously we will use a solar filter but can choose a density which gives a bright image and short exposure time. Ideally we'd use a still camera and may yet do so but in the first pass a video camera and video server was the easiest way to put a camera online. The quality is better than I'd hoped for. Created by eddie. Last Modification: Sunday 08 of January, 2012 16:09:46 AEDT by eddie.